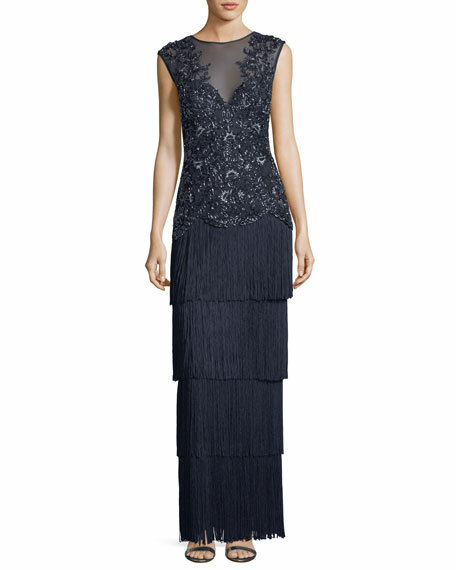 Aidan Mattox embellished fringe long evening gown. Approx. 49.5"L down center back. 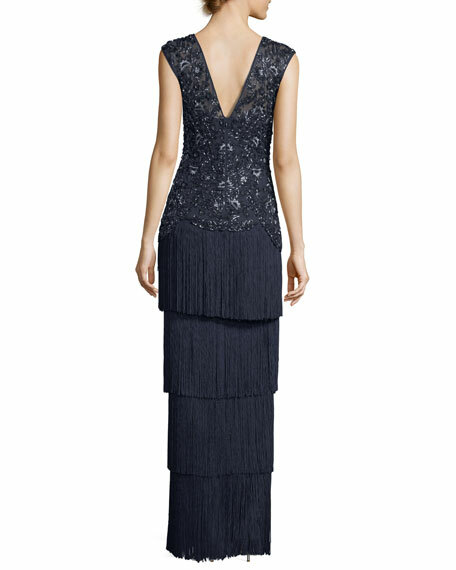 Round neckline; deep V back. For in-store inquiries, use sku #2415692.